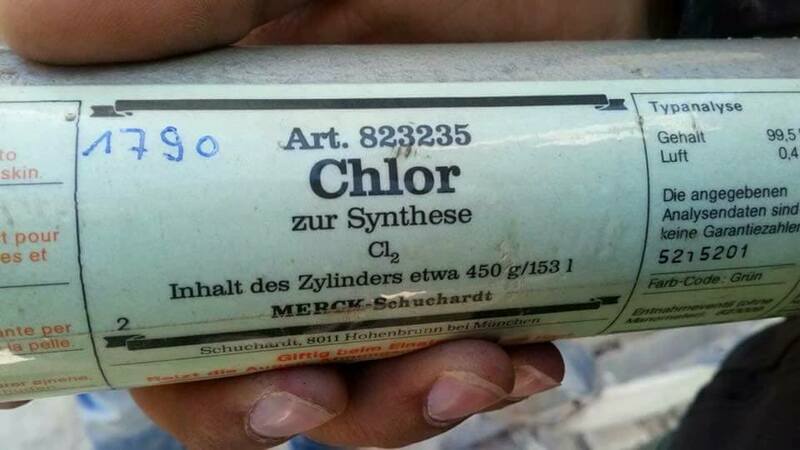 Syria Chlorine Gas Attack — False Flag to Keep Trump USA in the War – Coercion Code – "Dark Times are upon us"
As the world is finding out about a “chemical weapons attack” in Syria which injured about 1,000 and reportedly killed between 40 and 161, new evidence has surfaced showing the Chlorine Gas came from Cylinders manufactured by Merck Corporation in Germany! Yes, Germany; a NATO member country. Thirteen and a half hours ago, at 9:07 PM eastern time on Saturday night, I warned my Subscribers that a Chlorine Gas attack had allegedly taken place in Syria, injuring over 1,000 and killing 161. I outlined why this appeared to be a FALSE FLAG attack designed to put blame on Syria President Bashar Assad, and justify a massive U.S. military attack directly against Syria. I warned that people in the US government have been planning for a direct war with Russia and would use this alleged attack to induce/force a US military response DESPITE warnings from Russia that US missileS would be shot down and the ships launching them would be attacked. As of 10:42 AM Sunday, it appears President Trump has “taken the bait.” It appears that the US and its allies are speeding toward a massive military attack and that Russia is speeding toward a massive military response against the US. Russian military assets are being hastily removed from Joint Bases in Syria – not because they might be targets or collateral damage — but rather to be used for a COUNTER-ATTACK against the US. Russian air defenses in Syria, AND IN THE WESTERN MILITARY DISTRICT OF RUSSIA ITSELF have been placed on high alert. US Military analysts have been up all night at the Pentagon and President Trump confirms he has been in discussions throughout the night with his National Security people. It looks like we are quickly moving toward actual war this morning, which is Orthodox Easter for Russia. Forty-eight hours ago, President Donald Trump held a meeting with US Military and other personnel in the Situation Room over ongoing US Operations inside Syria. President Trump made it plain he wants US troops OUT. Despite the Situation Room being the most-secure place on earth, details of that meeting leaked to the media almost immediately, because some of the men in that meeting are TRAITORS to America and are trying to get us into a war. The military and Intelligence men at that meeting took issue with the President’s approach, saying the US leaving Syria would be bad. Here we are, 48 hours later and there has now ALLEGEDLY been a massive chemical weapons attack upon civilians in eastern Ghouta, outside Damascus. Reports are claiming 1000 injured and 161 dead SO FAR. This comes just ONE DAY after Russian news service TASS reported that US “coalition partners” Al Nusra Front and Free Syrian Army, were planning a Chlorine Gas attack upon civilians so as to blame the Assad government and trigger a massive US attack. It is now clear that some of the men in the Situation Room with President Trump 48 hours ago, had something to do with this Chlorine Gas attack. It fits THEIR agenda to induce or force the US to attack Syria and, if the US actually does so, Russia has made it crystal clear they will shoot down US Missiles, then sink the US Navy ships that launch them. 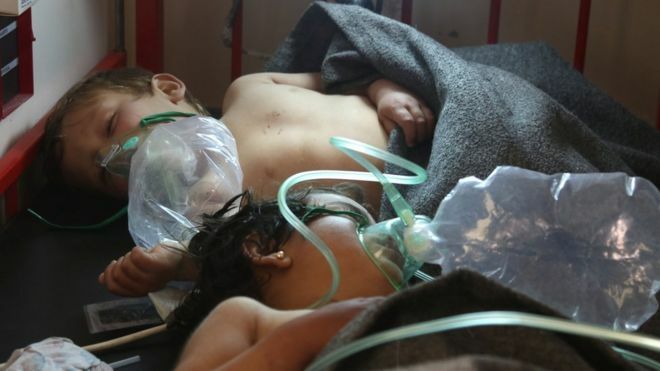 This Chlorine gas attack is the exact incident necessary to spark an immediate US strike upon Syria, which will trigger an immediate Russia strike upon US forces, which will trigger an immediate war between the US and Russia. MORE: A three alarm fire erupted on the 50th Floor of Trump Tower in New York City today. RUMORS from my former Intel Community colleagues was that this may have been a warning to President Trump: Approve a war in Syria or they can get to his family and burn them to death! Right now, as you read this, things are in-motion which could see us at war within 48 hours.